Common traits overshadow the differences. The farms we work with value character, nature, and truth. They work land with knowledge from tradition and decision-making filtered through 1,000s of hours among their vines, learning up close. Our portfolio strives to be deep, not broad. The variations that abound in wines produced by hand between one farmer and the next are key to our learning process and are a big part of where the fun is in this endeavor. We share an emotional, at times irrational bond with these people and their wines. We care about their success, and see value in who they are and what they do. But mostly it’s in the bottle: our love comes from the wine, the same experience you have tasting the wines. So maybe your feelings will be close to the same. Key facts: The Vallana family name first shows up in connection to winemaking in Alto Piemonte in 1787. Five generations of the family have made wine at the present estate. Who: Daniele Saccoletto does it all. Key facts: Certified organic by ecocert Italy since 2004, certified organic grapes since 2000. Low sulfur (40mg/l roughly). Also no enzymes, added yeasts, no animal gelatin, harvest in 3 successive passes in 14kg baskets. Key facts: Organic. Da capo means from the top. This certified organic and certified vegan estate uses two farms to grow outstanding indigenous grapes. Key facts: Certified-organic, with biodynamic tendencies. They make beer. They have donkeys. Key facts: No chemical fertilizers or insecticides are used on this five-hectare family estate. A south facing three-hectare calcium-rich monopole sits immediately behind his cellar and is the source of most of Barisel’s grapes. Key facts: Borgo Moncalvo power their estate entirely with solar panels, and use solar energy for their hot water. Many of their vines were planted in the 1920’s. Key facts: A young wine-obsessed couple from Milan and their two kids are starting a new organic farm in sleepy Paderna. So far the results are really exciting! Key facts: Daniele is a former chef who makes lively, engaging wine using natural methods. This estate specializes in Durella, a very local white grape. 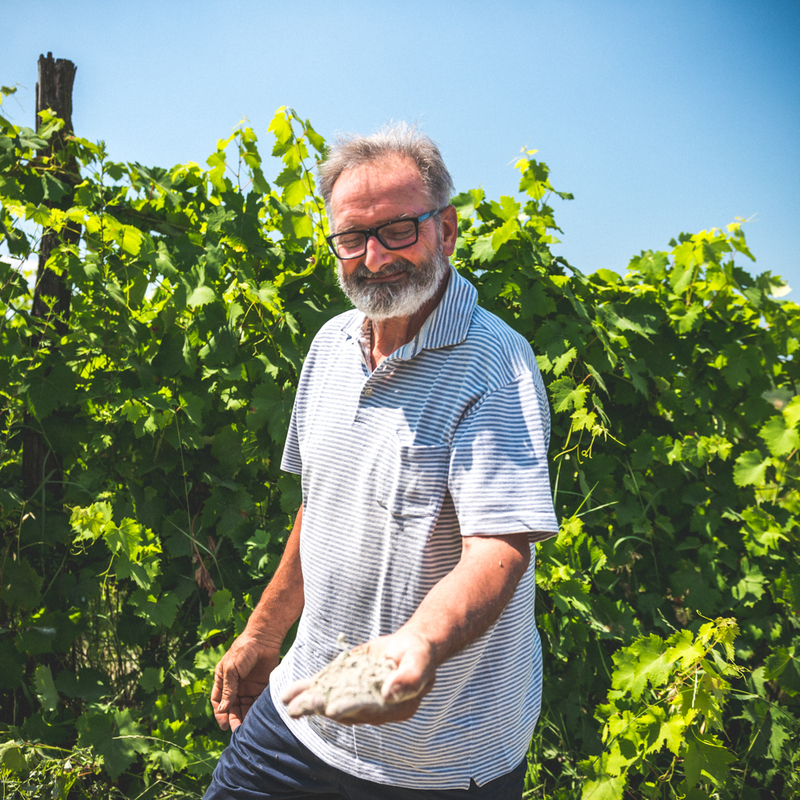 Key facts: Andrea Pendin is a trained chef with a passion for natural wine who is three years down the path to making great wine in the hills of Vicenza. Who: Sebastiano Ricci, his mother Giulia and brother Martino. Key facts: This is a 3.5 hectare, 6th-generation family estate farming high mountain vines outside Bolzano. What grapes: Friulano, Pinot Grigio…..
Key facts: This natural estate uses long macerations and aging to produce wild, colorful, textural white wines. Key facts: This is the smallest estate we import. Two hectares (one planted,) no outside workers, land inherited from grandparents. Fidelity to old methods and indigenous grapes is the guiding principle at Nicolini. Key facts: Lambrusco di Fogarina is a traditional grape saved from extinction by the work of this estate. 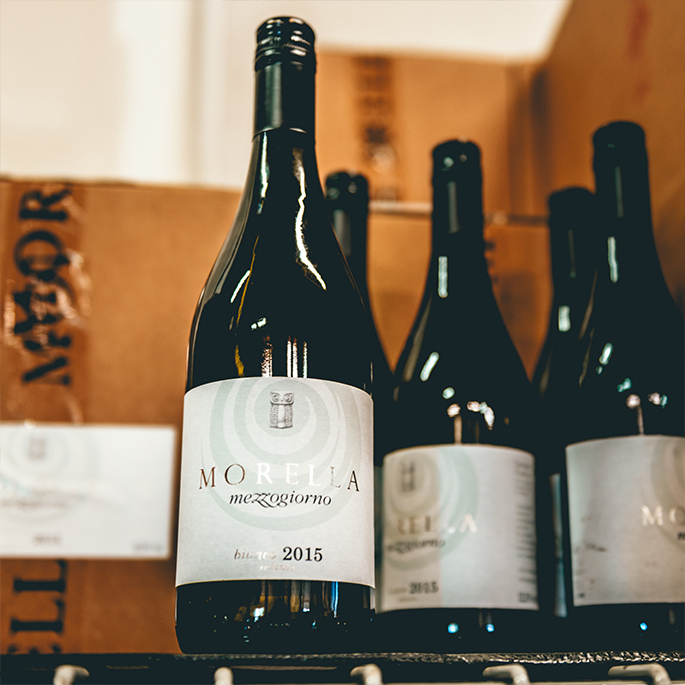 Key facts: This certified-organic (by IMC) winery uses biodynamic methods including plowing with a horse, and farm fields planted in the old albarello trellising method. Who: Pierfranca Lattuada, her son, plus Luciano Bandini in the cellar and Elio Galardi in the fields, both part-time. Key facts: Of 37 hectares total, only 5ha are vineyard and 1ha olive grove; the rest is left to nature. Pietralta have a sustainable, integrated approach to farming. The cellar is in a renovated 13th century building. 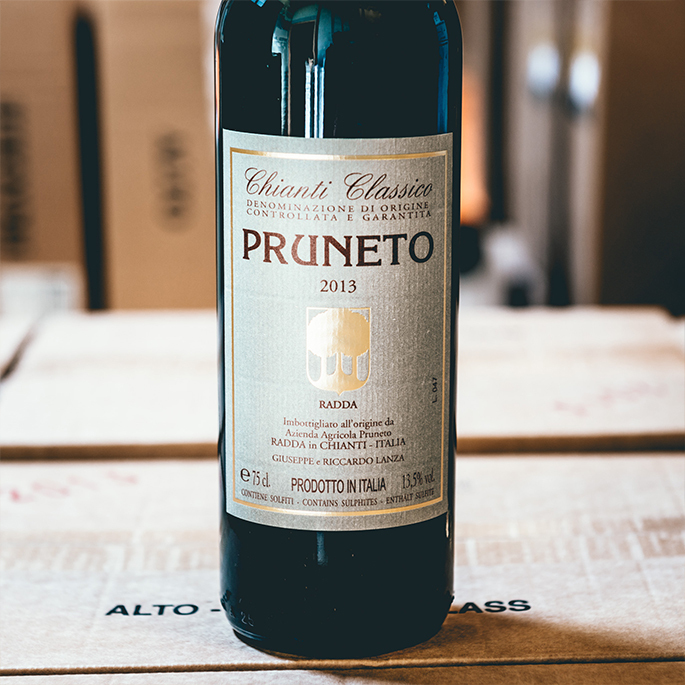 Key facts: This certified-organic (by CCPB) one-man estate makes compelling wine from old vines in the heart of Chianti Classico, with very little manipulation or modern technology. Key facts: One person. Two fields. 3.5 hectares. Two wines (Chianti Classico and Riserva.) 32 years of labor and dedication. Key facts: This is a multi-generational organic 12-hectare farm practicing polyculture on slopes wedged between the Apenines and the Adriatic Sea. Key facts: This 12-hectare organic estate uses massive solar panel towers to create all its energy needs, and more. Key facts: This certified-organic family owned and operated estate grows indigenous Abruzzese grapes. Key facts: This certified organic wine and tomato estate is a great place to discover the character of Nero d'Troia. Key facts: A certified organic small family farm working with old vines. Key facts: This family farm in central Puglia is making some of the best whites in the region today. Key facts: This biodynamic estate is farming very old bush vine Primitivo in an effort to preserve and grow interest in a disappearing form of local agriculture. 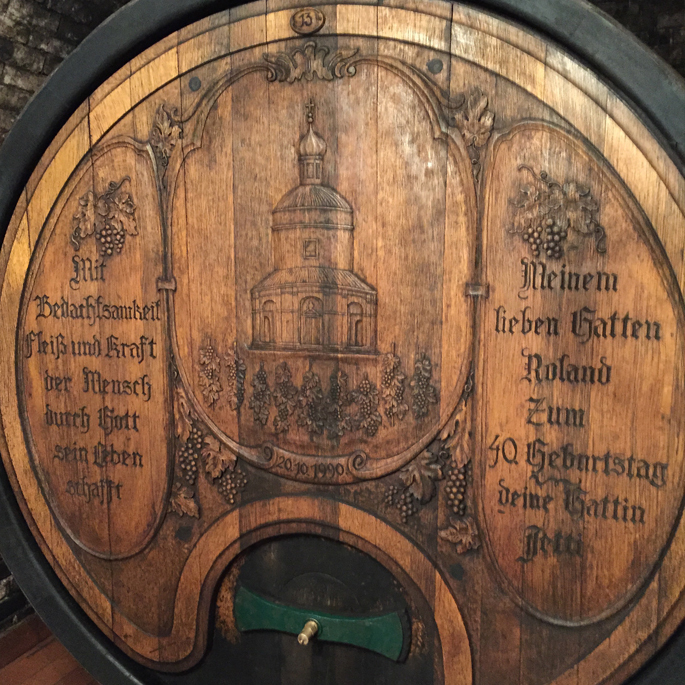 Key facts: the Saar-Mosel-Ruwer region once had many productive vineyards. Erich Weber is working hard to bring some of them back to life.